Optimistic into the Year of the Pig: Swiss companies remain confident for the business outlook in China in the next 5 years, with a confidence index of 6.7; 76% of Swiss business leaders in China expect their companies’ sales in 2019 to be “higher” or “substantially higher” than in 2018, according to the “2019 Swiss Business in China” survey. The large base on which the GDP grows, the growth of the middle class and the shift of the economy towards high-tech, automation and services made 2018 a record year for Swiss companies: In 2018, Switzerland exported goods in the record value of 18.1 billion Swiss francs to China and Hong Kong, a plus of 8,2% year-on-year. Watches and precision instruments exports grew by 11% (8 bio CHF), machinery exports by 6.8% (2.9 bio CHF), underlining the strength of Swiss technology companies. Shanghai (February 1, 2019) – Despite the public perception of an economic slowdown in China, Swiss business leaders in the market look back at a successful 2018 and are confident about the upcoming Year of the Pig. The confidence index for the next year reaches 6.49, for the next 5 years it is at 6.7 – with 10 being the most confident and 0 being not confident at all. 76% of the Swiss business leaders expect “higher” or “substantially higher” sales in 2019 compared to 2018, with only 4% expecting lower sales, according to the recent “2019 Swiss Business in China Survey”, conducted by the China Europe International Business School (CEIBS, the premier business school in Asia), the Swiss Centers China (SCC), the Swiss Embassy in China, Swissnex, SwissCham, Switzerland Global Enterprise and China Integrated. 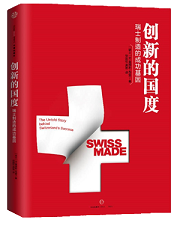 The comprehensive survey comprises responses from 132 Swiss companies, both SMEs and large enterprises, and is believed to be representative of the approximately 600 Swiss companies in China. Besides Swiss enterprises, the survey also includes responses from Chinese (683) and other foreign companies (200). Download the complete press release in English, German or French.